g): Unique design banner stand led light is easy for installation, it can clip on a tube directly of roll up retractable banner display stand. 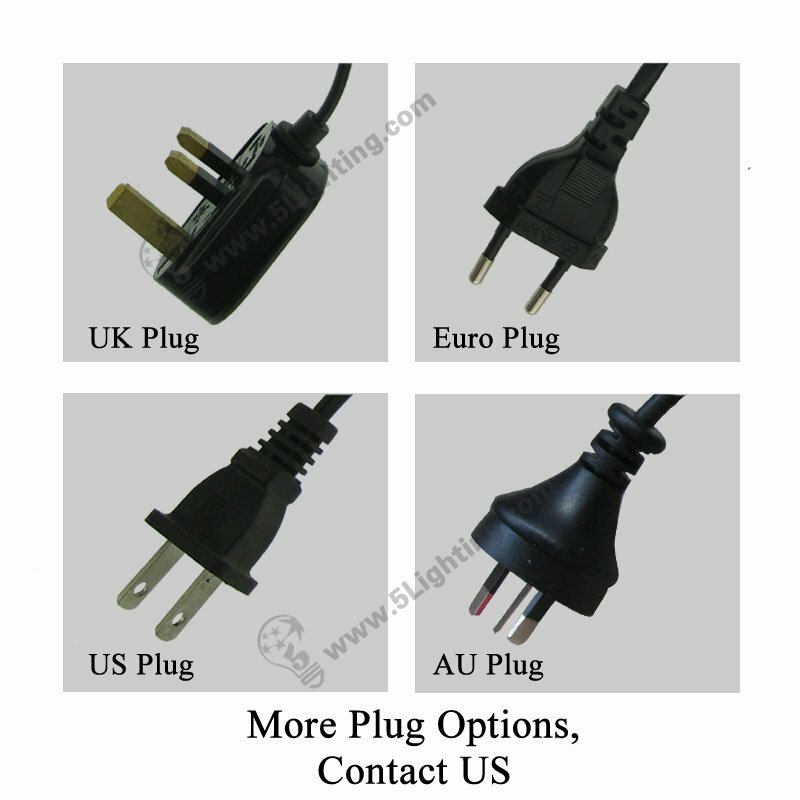 : Trade show lighting: Trade show fair, Exhibition, Pop up stand, Banner stands, Exhibition stand etc. : Other scenes: Presentation, Graphics booth, Backdrop wall, Advertising wall, Billboard etc. 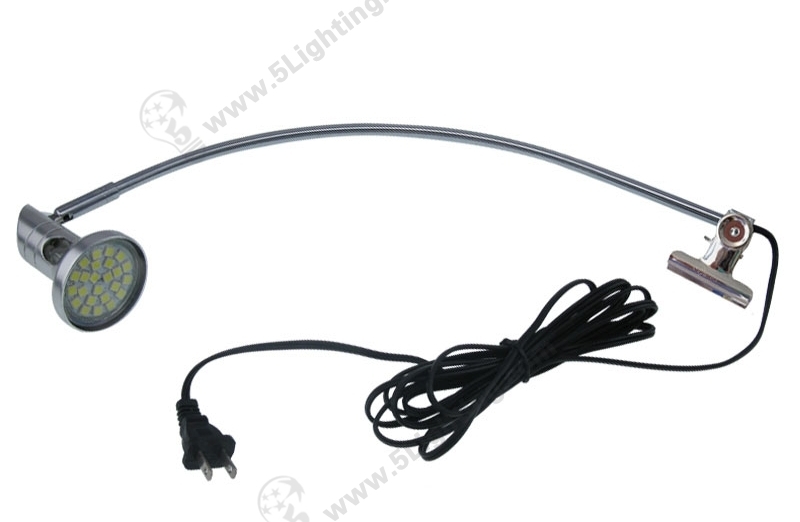 Great quality led banner stand lights JZL013 from 5 Star Lighting Factory! 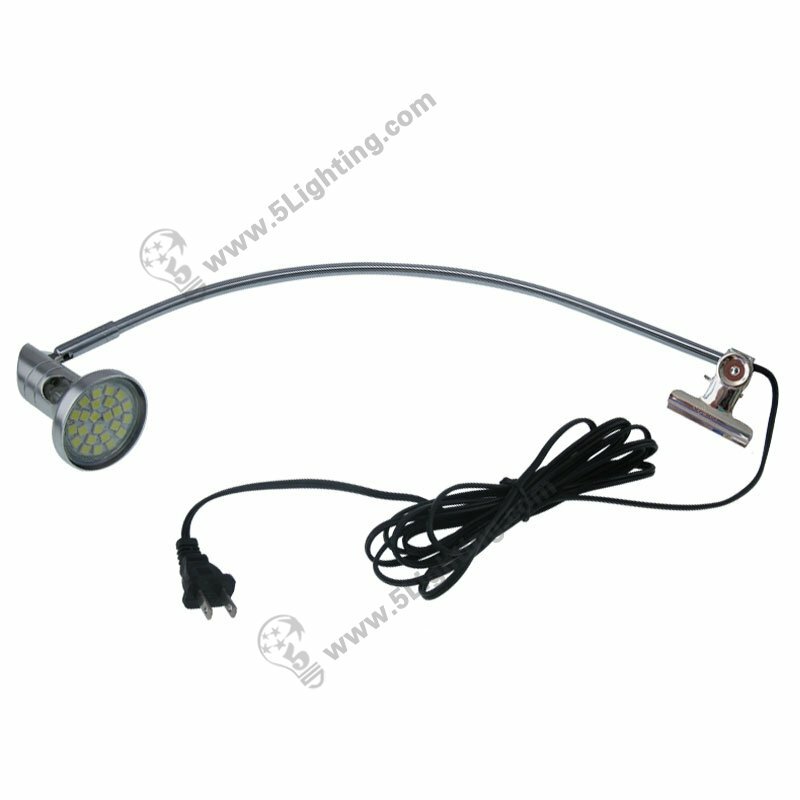 5W, 500Lm, 12V, LED Banner Stand Lights, Replaces 25W Halogen Light, Perfectly fits for trade show banner stand. 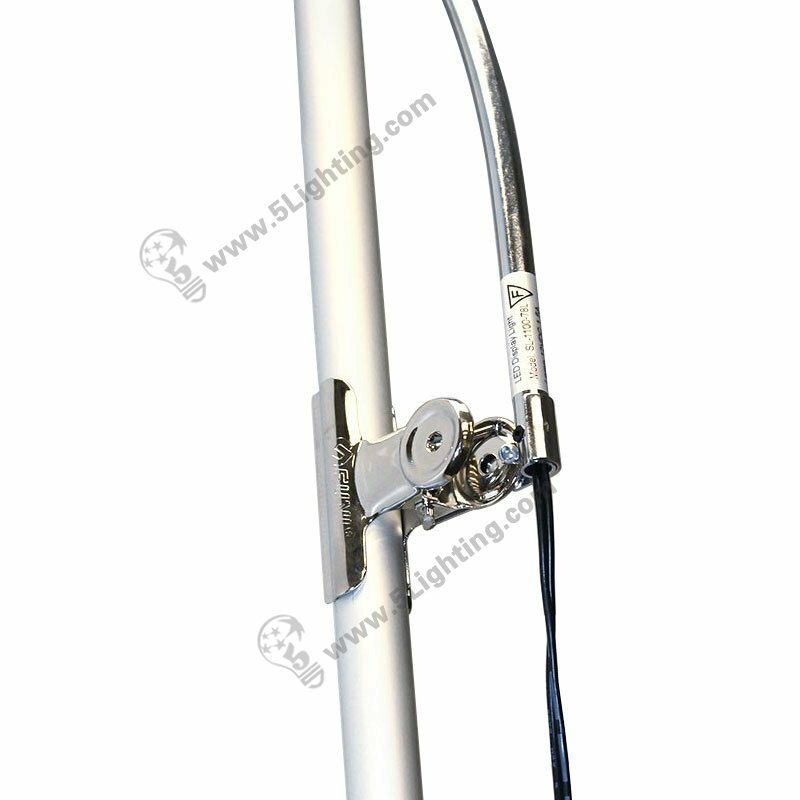 a): This LED banner stand spotlight with clear appearance, available in two colors: black and sliver. b): Portable to carry, lightweight design weighs less than 1lb. 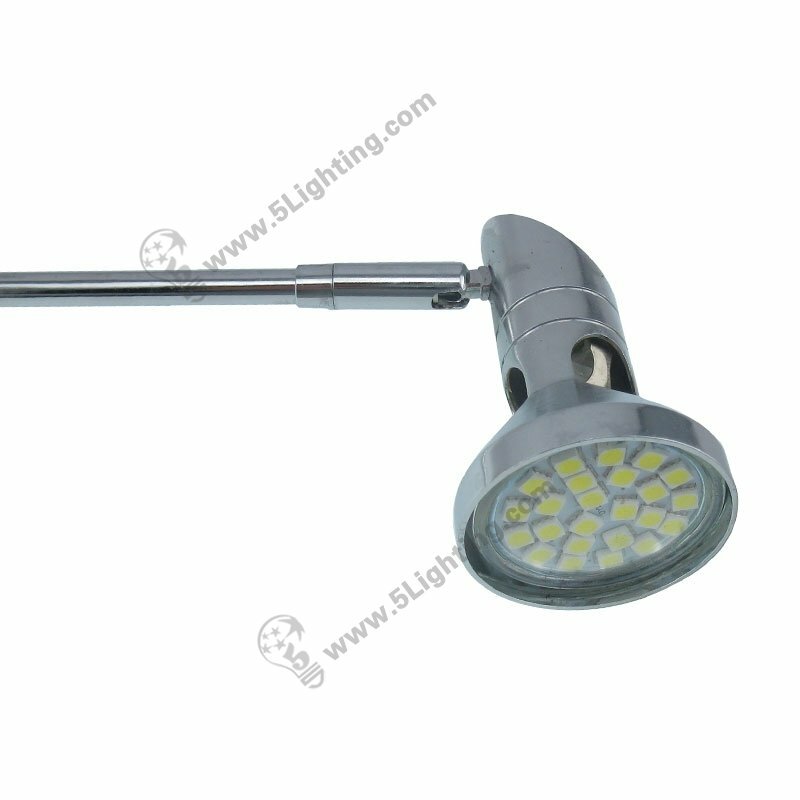 c): Low power consumption, will be the best choice to replace 35w halogen light. 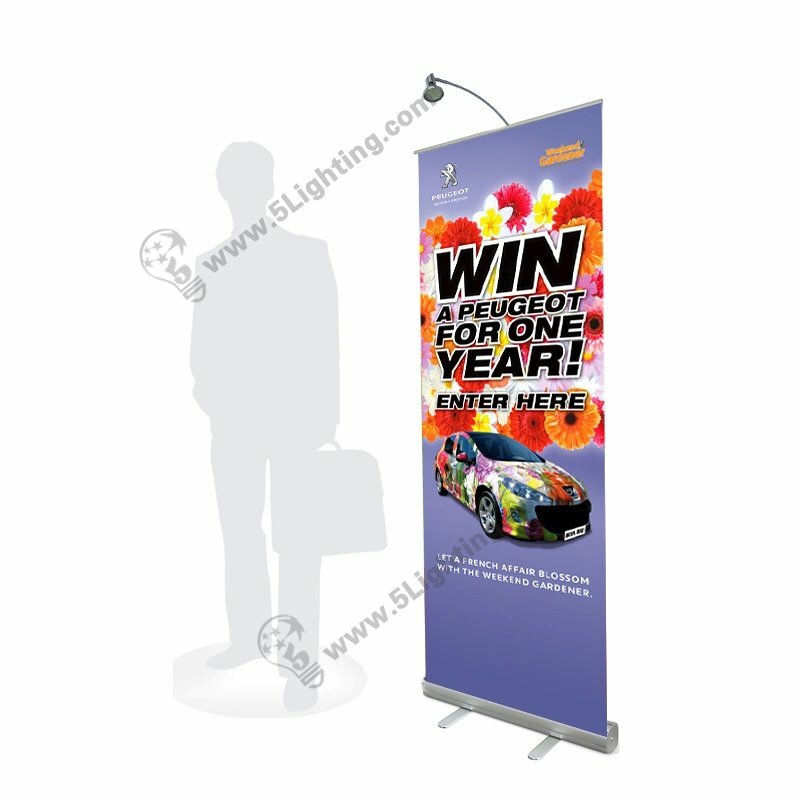 d): It can clip on design fits all pole type roll up retractable banner display stand. 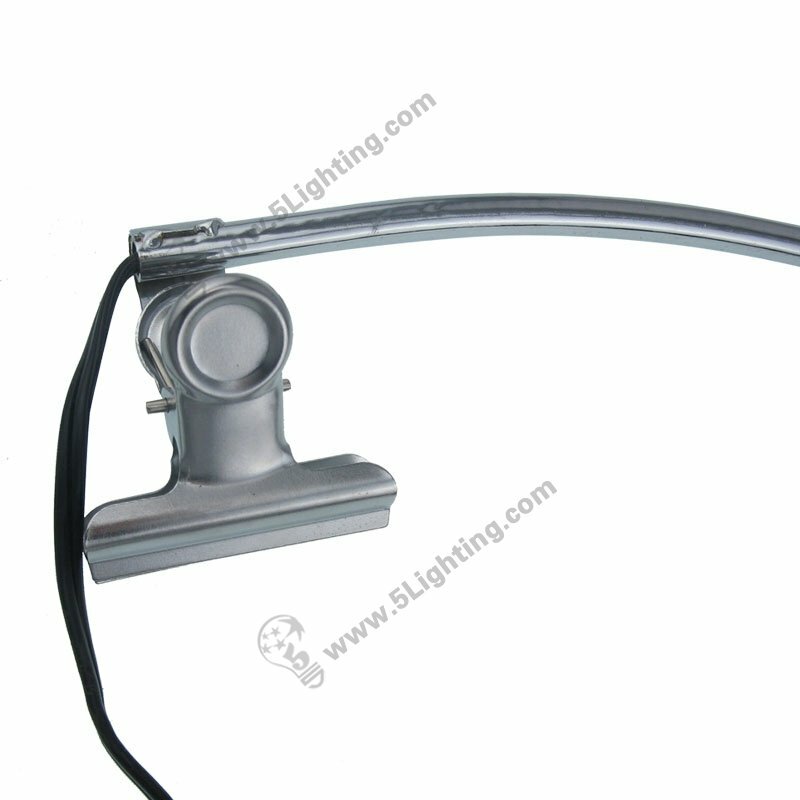 e):This 5 Watts LED banner stand spotlights model JZL013 – Equals 25W Halogen Banner Stand, roll up stand or retractable banner stand Lighting. : Other scenes: Presentation, Graphics booth, Backdrop wall, Adevertising wall, Billboard etc….